You probably know that changing your air filters regularly improves the air quality in your home. Replacing your furnace filters can also save you money by reducing your energy costs. Skimping on clean air filters might save you a few dollars in the short-term, but you may be setting yourself up for high utility bills and illnesses. Here are some ways dirty furnace filters can drive up energy costs, lead to high repair bills, and make your family sick. Dirty air filters restrict optimal air flow throughout your heating and cooling unit, which causes it to expend more energy to maintain effective air flow. When your heating and air conditioning unit is forced to work harder, more electricity is used, which results in higher utility bills. When dirty filters impede air flow, other system components need to work harder.Over time, the excessive wear and tear on your system may cause mechanical failures on days when it is especially hot outdoors. A professional technician can change your filters so that you don’t suffer the consequences of a mechanical breakdown or expensive electric bills. Changing your filters is the most cost-effective way to maintain your equipment so that the air quality in your home stays healthy for you and your family. When your air filters are dirty, dust, pet dander, and other debris is blown into your living space every time your unit is turned on. If you or your loved ones have allergies or chronic obstructive pulmonary disease, inhaling airborne particulate can be disastrous.Poor air quality in your home can cause coughing, eye irritation, headaches, and raise your risk for lung infections. Circulating dust can also accumulate on your furniture, floors, and inside your electronics, leading to poor performance and mechanical breakdowns. Changing dirty air filters on a monthly basis or as needed, enhances optimal air quality, and is a small price to pay for the health and wellness of your family and personal belongings. Changing your unit filters will also help prevent the accumulation of allergens in your ductwork. Certain air filter types need changing less frequently, and in some cases, only once a year. After evaluating your unit, a professional will replace your air filters per the manufacturer’s instructions to keep your unit operating efficiently. 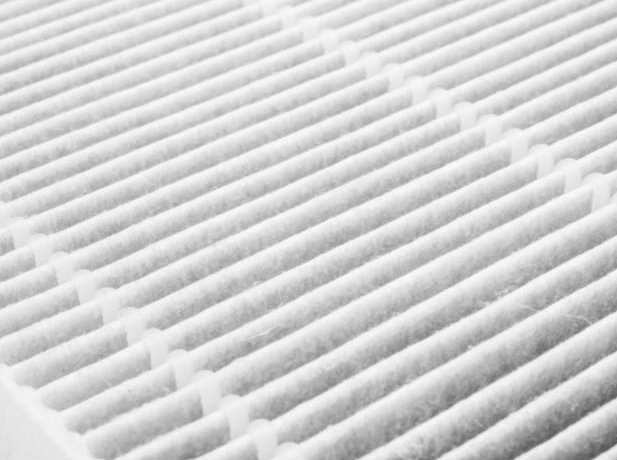 Dirty air filters can prevent your central air conditioner from working at peak performance. When filters become clogged with debris, less cool air circulates through the unit. Dust and dirt restricts air flow, and when air flow is restricted over the coils, optimal airflow will be restricted even further.Your home may also cool unevenly if your filter is not changed regularly. If one of your rooms is hotter than the others, change the air filter to simply resolve the problem and enjoy the cool air of filtered air. On hot days, ineffective air exchange from dirty filters causes poor indoor air quality, and if you or your family has chronic health problems, breathing may be difficult. Change your filters regularly so that breathing emergencies are avoided. Not only can ineffective air flow harm people, but your pets may also suffer the consequence of poor air circulation caused by dirty filters. Change your air filters on a regular basis to avoid the above problems. Let us help you maintain the quality of your air so that you and your family can breathe easier in a healthy environment. If you need your air filters changed or if you would like to learn more about our HVAC services, contact us today to learn how we can help.